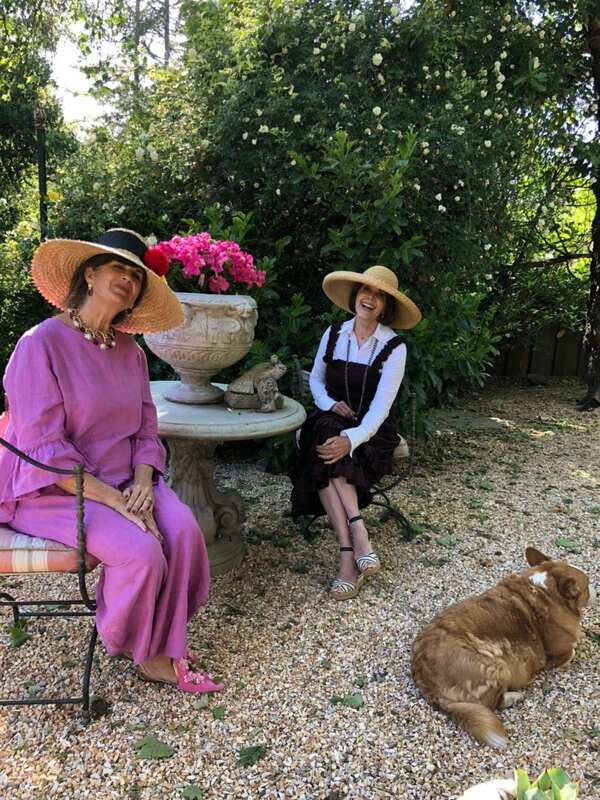 It couldn’t have been a more picture perfect, California day, last Saturday, when I joined four other women for the second of three lunches with the Contessa and Banksy, her Tea Cup pig. 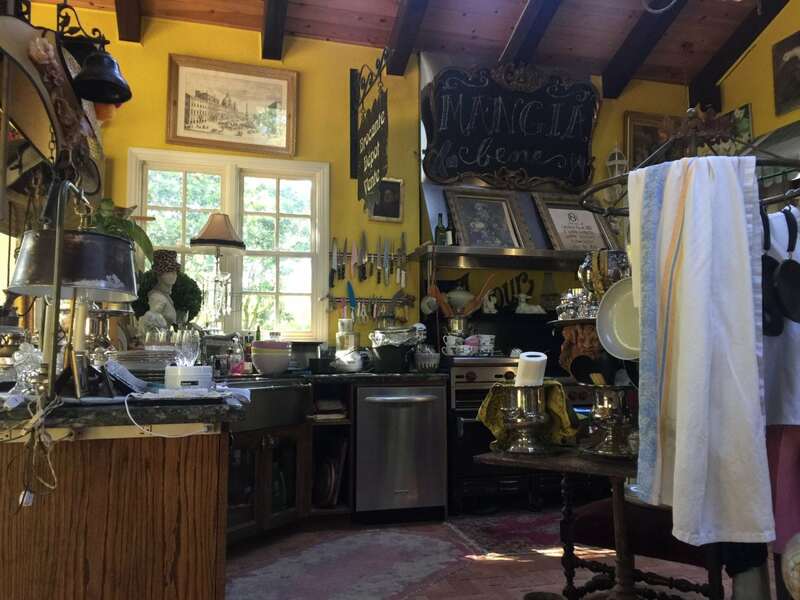 Known for her colorful caftans, exotic handmade slippers, big hats, smashing jewelry, a blooming garden she planted and a welcoming heart, the Contessa’s Instagram bio says she “loves all things old, worn, rusted and with a hint of a grander past life and elegance in day-to-day living.” Her home is that and more! I love the photograph above. Look closely and you’ll see the Contessa, wearing a red opera coat (this photo is B&W), inside the Louvre in Paris, feeding chickens out of a tin bucket! I know what you’re thinking: Kind of an odd place to be feeding chickens, but she and her photographer hid stuffed chickens and the bucket under their coats and carried them past security! LOL! As if a woman in a flowing red, taffeta coat was an everyday thing. If they’d been caught with their taxidermied chickens… Try explaining that to a group of humorless French Gendarmes! The rest of the brood were photoshopped in by the photographer. What a grand hoot, but that’s our Contessa! Actually it sounds like something I’ve done, but that’s another blog. Elizabeth, the Contessa, lives and dresses—even when going to Safeway—like a real Contessa, and she surrounds herself with things that delight and take her fancy. 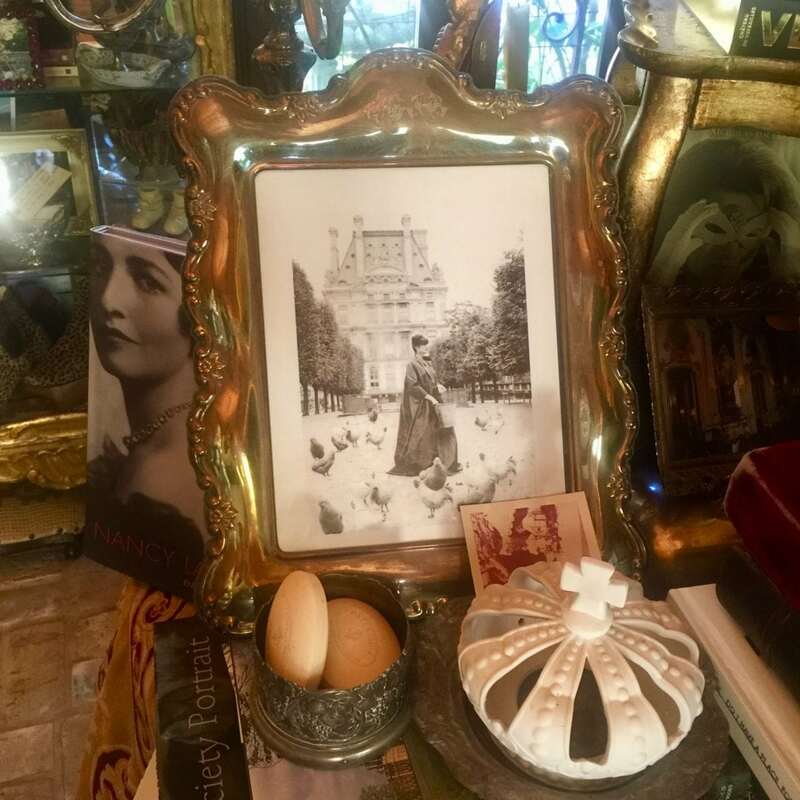 Like her collection of over 20, silver ice buckets… Most were purchased from an antique store or a flea market, and she uses them for everything from chilling wine to holding a role of paper towels, a bouquet of roses grown in her garden, or lining the shelves of her pantry. It’s great fun to meet women you’ve known, only online, because you’re already digital pen pals and know a lot about one another. There’s no “so where are you from,” “what do you do,” or “are you married?” We all picked up as though we’d known one another forever. I can’t see men, getting together with guys they’ve known only online—unless it’s for a poker game—can you? That’s what I love about women over 50! We’re done viewing other women as the competition—for jobs and men—and we’re embracing one another like sisters, dealing with similar issues. 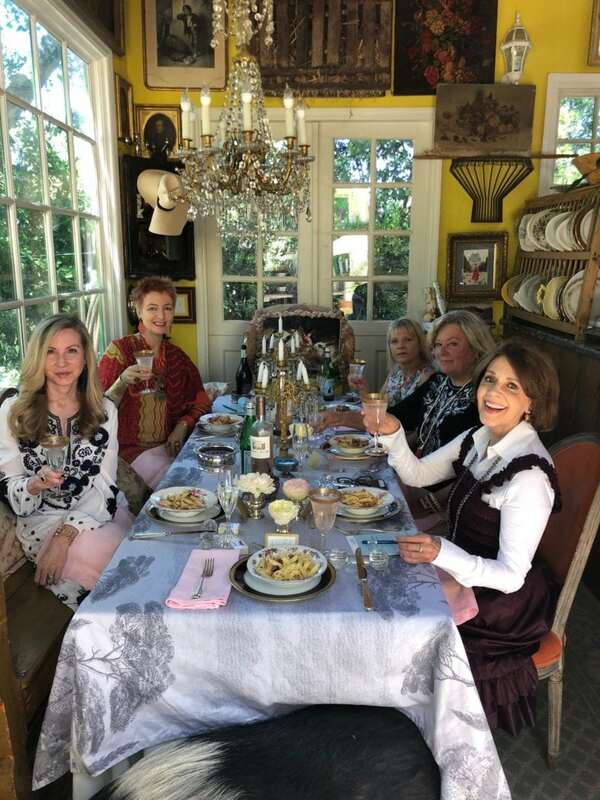 The other women around the Contessa’s beautiful table were left to right: Shannon, @shannonkirbyint, who describes herself as a Bay area interior designer and worldwide antique/vintage hunter and gatherer. Oh, yes! I’m loving these women! Then me, Brenda @1010ParkPlace, a site for women over 50. On the other side of me is Karen, a former Ad Executive and gourmet cook. You should visit her Instagram page @figandscallion and find her video and recipe for making Tomato Jam. It will literally make that little spot in the back of your mouth water and beg for mercy! Andrea at @Serrahna is the vibrant redhead in the gorgeous Indian dress and Sari. She has a boutique in Oakland where she sells treasures she has made in India. On the end is Juliet–a native Californian who recently built her dream home–from @makemineaspritzer, which is what we did all afternoon by adding club soda to our prosecco and wine. CAN YOU SEE BANKSY AT THE END OF THE TABLE, HOLDING ELIZABETH’S SPOT? THE CONTESSA WINED AND DINED US IN GRAND STYLE. SHE MADE THIS PAVLOVA FOR DESSERT! 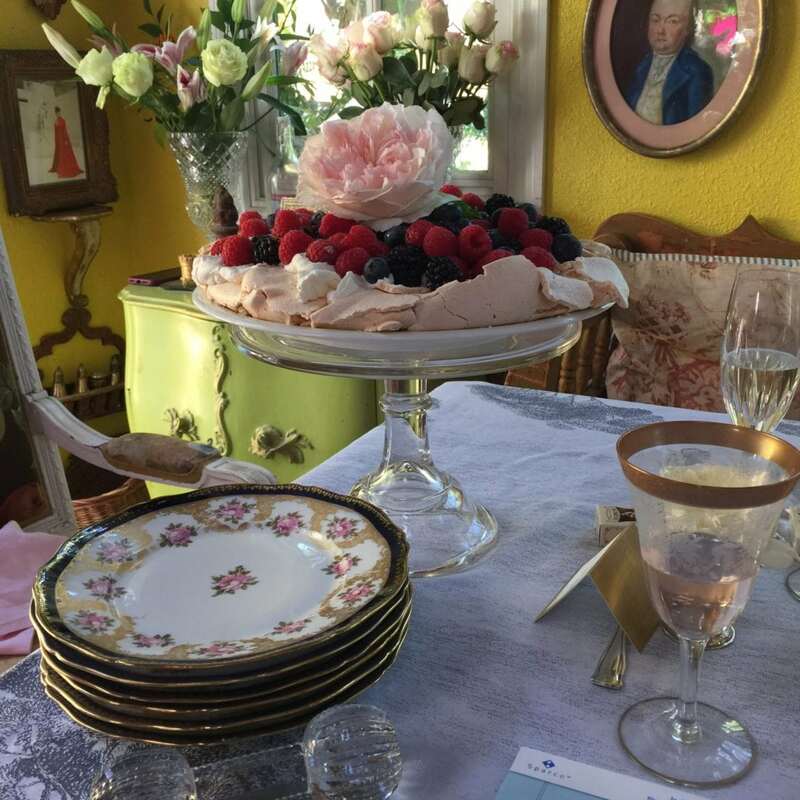 SHE TOPPED THE PAVLOVA WITH ROSES FROM HER GARDEN! If you look on the left wall you’ll see a small photo of Elizabeth in her RED opera coat. When it came time for us to leave, the Contessa invited me to stay for dinner. I think she wanted to make sure it had been worth my while to come all the way from Texas, plus she said, “What will you do, tonight? Stay in your hotel room?” So very thoughtful, because yes, that’s exactly what I would have done. 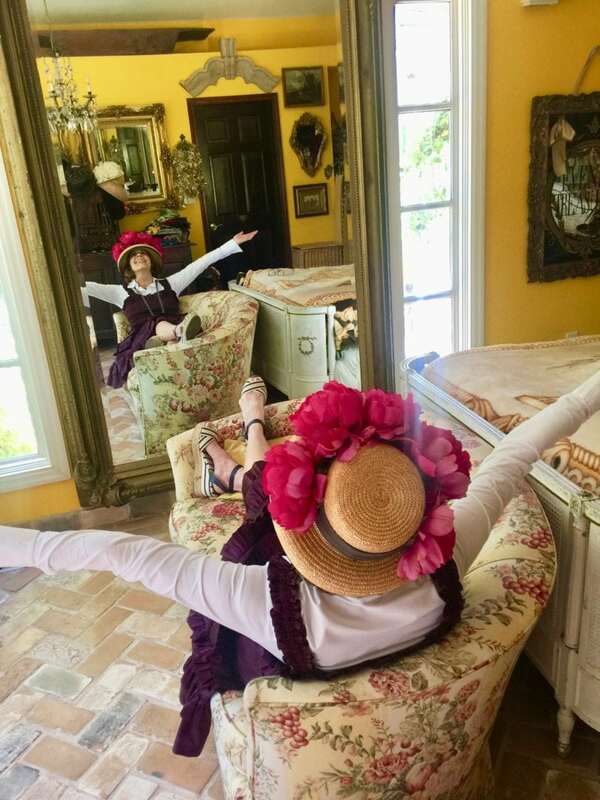 SO I BORROWED ONE OF THE CONTESSA’S HATS, MADE MYSELF AT HOME, AND THEN HAND DRIED HER MOTHER’S CHINA WE’D USED AT LUNCH. ME AND ELIZABETH… NOTICE HER HANDMADE, VELVET SLIPPERS AND MR. THEODORE. I met her neighbors, who brought their friends to see the Contessa and her husband’s home and backyard, which they’ve lovingly created. It’s like nothing in suburbia you’ll ever see. The neighbors adore her, and it’s easy to see why. I also got to meet the infamous “Italian,” the Contessa’s adorable husband, who grilled steaks and Tuscan bruschetta for the three of us. Did you know the proper way to eat bruschetta is to grill the bread, rub it with a clove of garlic, poke the bread with a fork and then drizzle olive oil over it? Yum! 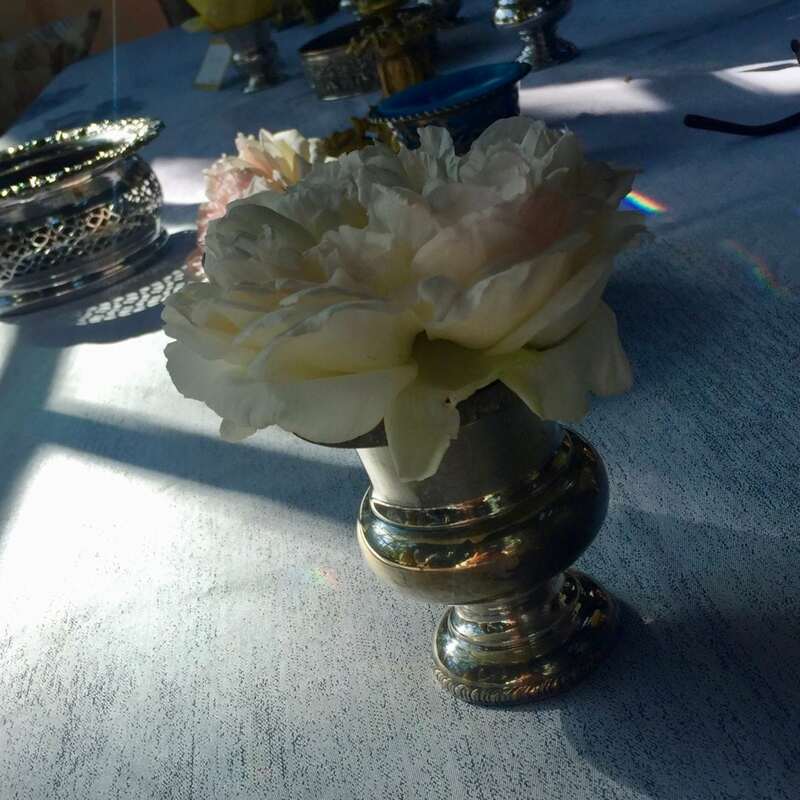 LOOK CLOSELY AND YOU’LL SEE THREE LITTLE RAINBOWS ON THE TABLECLOTH FROM THE CHANDELIER. The real rainbow occurred when we were visiting with new friends and talking about shared interests, which started with the Contessa. Thank you for teaching us to live, everyday, like we’re all Contessa’s. And if we’re not using the “good china,” what are we waiting for? Seriously! Who’s more special than us and our loved ones? Thank you, Contessa, dear, for sharing your home and going to so much trouble. Please know how much we love and appreciate you! The Contessa is a true bon vivant, and surrounds herself with more of the same. It’s true what you say about the sisterhood. Elizabeth’s blog, this one and so many others by women of a certain age are full of joy and enjoyment. 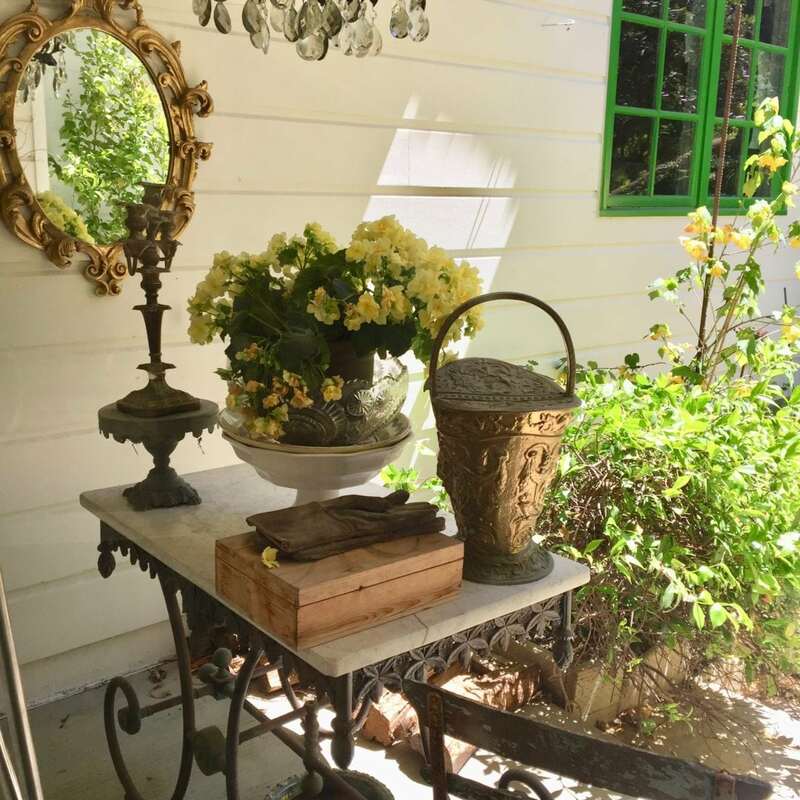 Thanks for the photos, which are a different perspective on the fabulousness chez Contessa. This is MY TOPPER for TODAY after that ROYAL WEDDING!!!!!!!! !I got up at 3:21AM……….Just in time to see HARRY AND WILLIAM ARRIVE!!!!! OH, I LOVED DOING These LUNCHEONS and meeting ALL OF YOU!YOU are such a TREAT with YOUR LIFE EXPERIENCES!!!!!! !PLus, I must ADD a GREAT PLATE DRYER…………Just so people know she is a TYPE A! As all I wanted her to do was sit and be still as I cleaned up a little before the next ACT! AS YOU STATED ABOVE we ALL ALREADY know each other and we care about one another and want to SHARE what we know!WHAT A GREAT TIME IN OUR LIVES!!!!!!! !DOn’t YOU THINK!!!?? 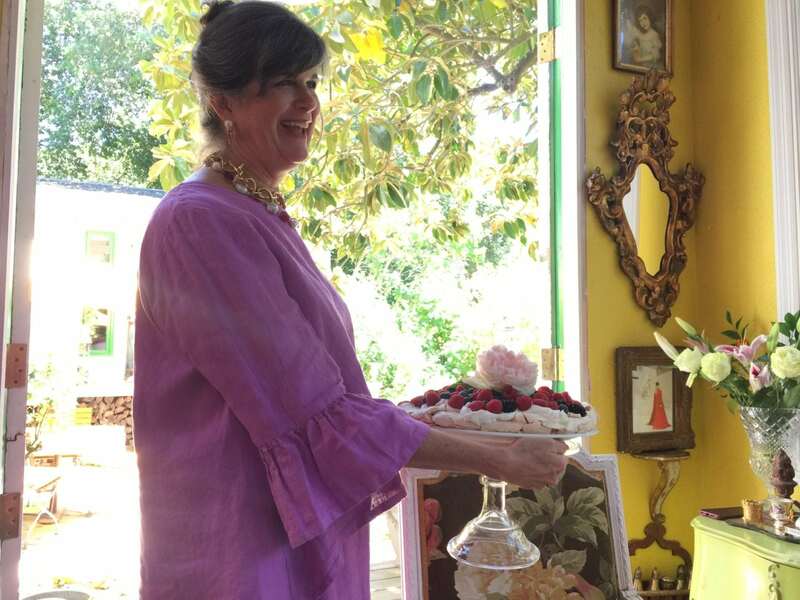 I think my next SOIREE will be a CAFTAN COCKTAIL CLASH in late summer……..ALL MUST DON MY FAVORITE A CAFTAN TO ENTER! THANK YOU BRENDA for your ENTHUSIASM and BRAVRY to get on that AIRPLANE and take a CHANCE with ME!!!!!!!!! This looks like so much fun, and the photos are amazing!!! The blogosphere has its fair share of contessas, queens, princesses, and other self-anointed royalty. Elizabeth is the real deal. I love Elizabeth. I remember as a new blogger how I often I left comments on blogs that I admired, hoping to form connections, and failing. Not so with Elizabeth. Not only did Elizabeth respond to my comments, she began reading my blog on the regular. We spoke on the phone a couple times. She even sent me a gift in the mail — a giant volume of antique Milwaukee newspapers. The woman is loving, generous, and open-hearted — a true Italian even if it’s her husband with the DNA to prove it. I might say you are like Elizabeth too. Open and kind and willing to give newbies a chance. How neat that the two of you got to connect face-to-face. Well worth it! Thank you for this wonderful report which brings the joys of the Contessa’s world alive. I was a lucky guest at luncheon #1 and treasure the experience. People like Elizabeth and you who create beauty and have such sharing generous hearts show us how to create the world we want to live in, grow and share. Love this, Brenda. Love the ‘Contessas’ of the world who teach us how to live. And love the bloggers of the world who bring them to us! Brenda, thank you for this most thoughtful installment. I adore you all and am so happy to meet you! On to Caftans & Cocktails! ‍♀️ Cheers to us all! Viva La Contessa!!! Wow! Sounds like you had an amazing day with a one-of-a-kind woman. How fun! I’ll have to check out her Instagram. Hi Rebecca, We all had such a great time, together, but I believe we’re all “one-of-a-kind women, don’t you? I always love seeing you here, Brenda!! Brenda – I loved reading your post and reliving our wonderful afternoon! It was delightful to meet you, and all of the lovely ladies around the Contessa’s table. The Contessa has inspired me in many ways, and taking the chance of inviting new friends to my table is next on the list. Ciao Bella! I was lucky enough to have been included in the first luncheon, expecting a delight for the senses – and was not disappointed in the least! But what I didn’t expect was for Elizabeth to be so warm and welcoming, and the sense you mentioned that we already knew each other. There was none of that awkwardness that comes at functions or weddings when you’re seated at a table full of interesting people who have nothing in common. 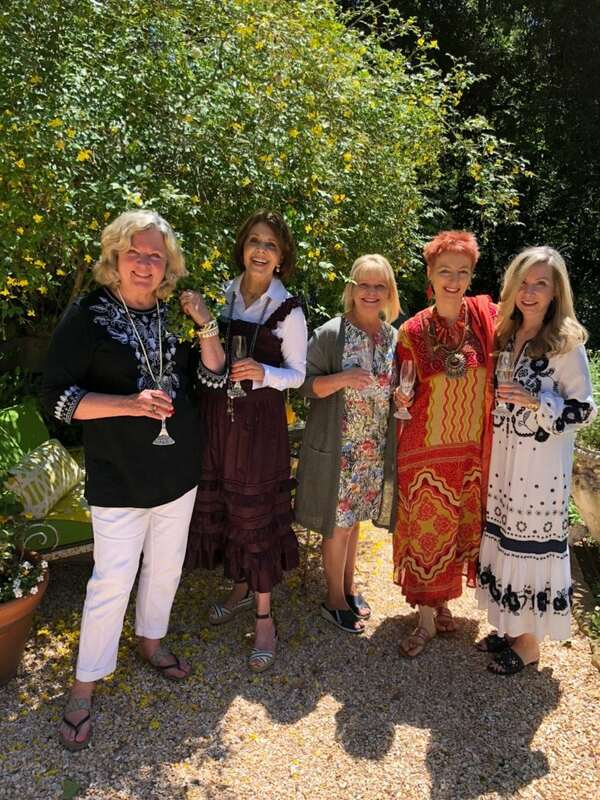 With Elizabeth and the other ladies at the luncheon there was a feeling of connection and celebration, and it was a wonderful feeling! The conversation flowed and the food, flowers, music, and decor were more that I could have ever imagined! From the pictures on instagram and your post above, I see that you had the same experience!I wish I could have met you, too! Perhaps we’ll all be together at some other soirée at La Contessa’s casa! I’m so happy that people like you and Elizabeth are in this world, and that my life is opened up to new the possibilities of kinship, all because of a connection on the internet! Shoot! I missed the luncheon and you. Her invitation came when I was still in my walking boot and no way to fly. But I’m so sorry to have missed you. I know the Contessa is really Auntie Mame. One of a kind. I so want to meet you. It will happen. I have had the opportunity to be wined and dined by the Contessa. 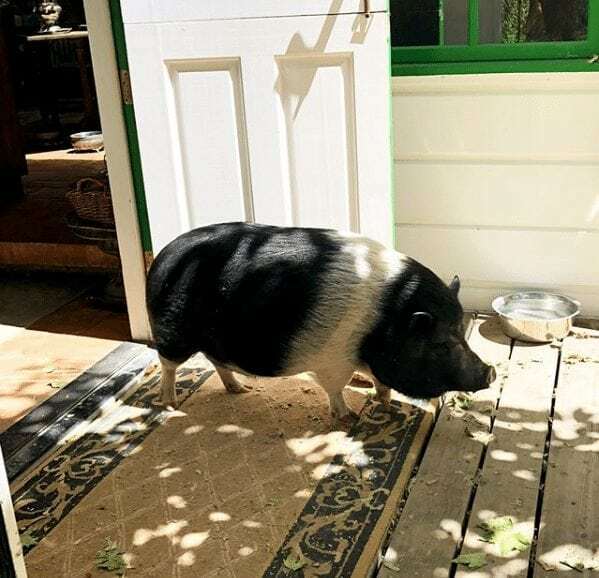 Her home and animals are simply delightful. Her generosity knows no bounds. Anything the Contessa is involved in will be unique and special. I know it was worth the trip. I love the Contessa! She’s one of my most favorite clients. I love that you hopped on a plane for a lunch date. That is what life is REALLY about. Loved this! Oh Soooo Love This!!!! Brenda, thank you for taking us all there! The photos are fabulous! I think the Contessa needs her own reality show! This looks like the most perfect day! By the way, Brenda, love your outfit!!!! I’m happy to have found your site – just the combination of wit, style, gentle humour and good writing I love! I have met some bloggers – near and far – and have had similar experiences……all the ‘what and where’ questions have been answered and the ‘who’ is pure pleasure!